BIM stands for Building Information Modeling. This is a planning process that focuses on cost security, adherence to schedules, quality improvement and sustainability. In addition to planning, the BIM method also focuses on the construction and management of buildings. In concrete terms, BIM enables all project participants to work together earlier, in a closer network, coordinating their actions in line with the project partners. As a result, the entire planning process improves in quality and a lot of later replanning can be avoided. 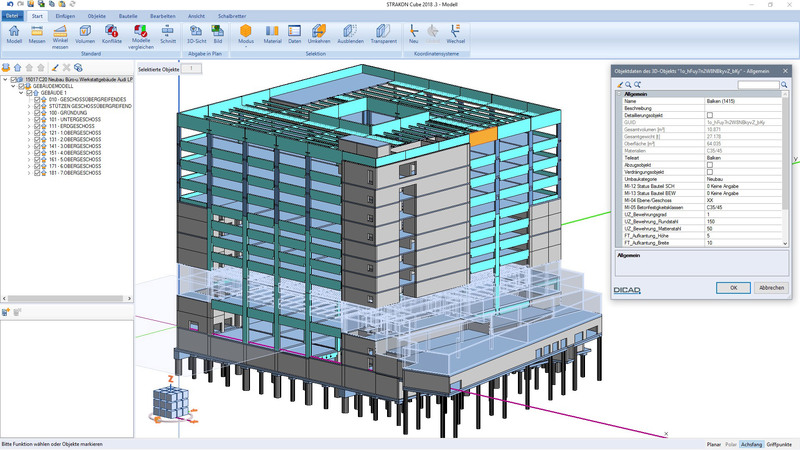 In order to ideally support a BIM process, BIM-enabled software solutions are necessary. All project partners use their own specialist applications. We could learn from the past, that BIM doesn´t work with only one model which all planners use simultaneously. Rather, all project partners keep their own model in the respective application software. However, these models must be smartly coordinated with each other. With the CAD software STRAKON you get an excellent BIM tool for structural planning, which allows you to integrate very well into BIM process chains. For example, you receive 3D IFC data from the architect, which you can use in STRAKON for formwork and reinforcement planning. You can then pass on this engineering model to the MEP planning via IFC, for example. 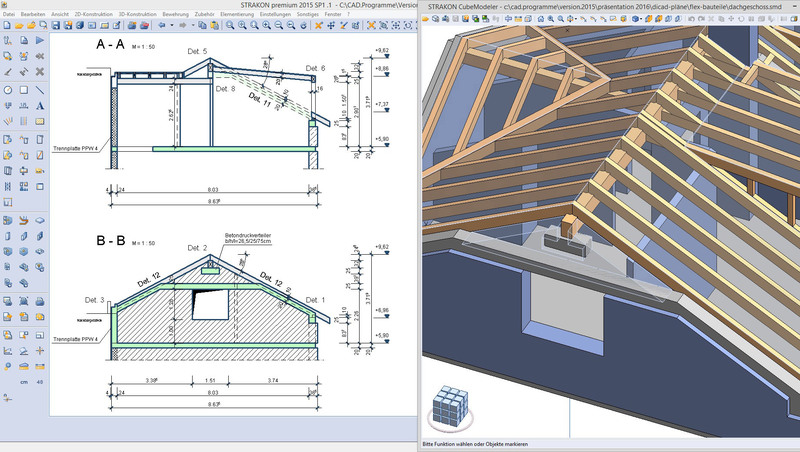 The CAD program STRAKON actively supports the Open BIM concept. If there are changes in the project, you can easily enter this in the STRAKON-3D model. This is done either manually or automatically. When changes are made all formwork and reinforcement plans derived from the structural model are automatically updated. Reinforcement, bar representation, lists, transfer data, dimensioning and hatching are intelligently included and are therefore correct and up-to-date throughout the entire project. With STRAKON you automatically receive a lot of information from a model. The integrated BIM-Checker (Model-Checker) allows for an easy comparison between different models (from different project partners, several index levels or project variants). For example, you can let the software compare the model from the MEP with your structural model, and STRAKON will show you where problems might arise. What is the BIM model? 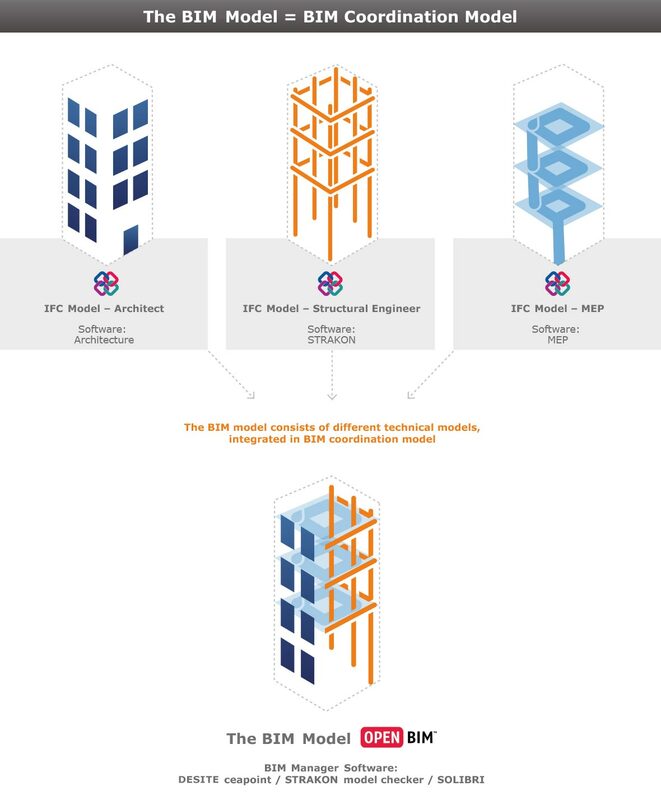 The BIM model consists of different technical models, integrated in BIM coordination model. DICAD Systeme GmbH is a member of buildingSMART. This organization develops and defines standards for Building Information Modeling and certifies the IFC exchange format. DICAD is actively represented in the structural design user group at buildingSMART. This enables a coordinated and practical further development of BIM standards in the CAD program STRAKON. 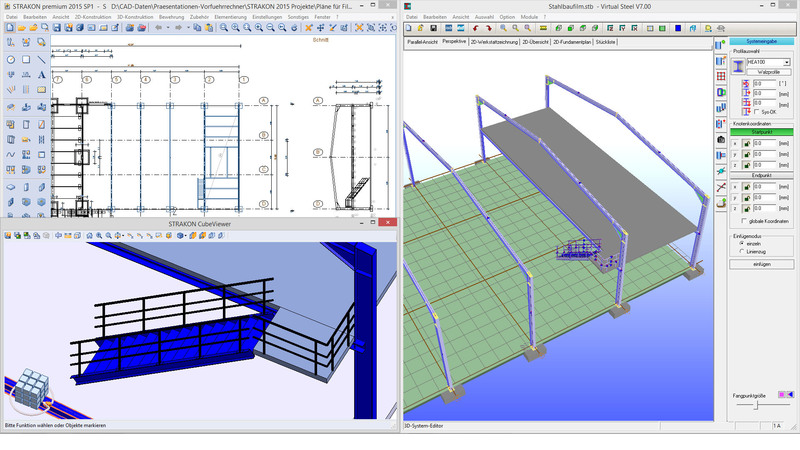 With STRAKON you get a very economical and convenient BIM-capable CAD software for construction, formwork and reinforcement planning. The specially developed "Cube" technology will inspire you.